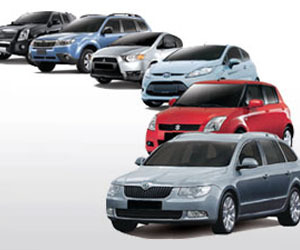 Have you ever wanted to know what car insurance group your vehicle’s in ? This useful guide explains how these groups will affect your car insurance quote. There are 50 insurance groups for cars which give insurance companies an indication of risk. Group 1 has the lowest risk and group 50 the highest. Almost every car built for the UK market is assigned a group rating by the ABI group rating panel, a committee of leading insurers that meets each month. – security features such as alarms, immobilisers and whether the vehicle has a visible Vehicle identification number (VIN). – “U” means the level falls so far beneath requirements it will be hard to find cover. – look at security features, choose a vehicle with good security features or consider fitting additional security, such as a tracking device, to help protect your car. Every car is different, not only in style and size, but in their level of eco friendliness, fuel efficiency and attraction to thieves. These and many other factors are all taken into consideration when calculating the potential risks and chances of claims for each vehicle. The more likely a vehicle owner is to claim on their car insurance, the more expensive the policy, which is why a Porsche will usually cost more to insure than a Ford. John Brady, head of commercial at John Lewis insurance, explains the logic behind the car insurance groups and how they could affect your car insurance. Q. What’s your background and what experience do you have that makes you an expert on providing financial advice ? A. I’ve worked in financial services for 20 years, including banking, credit cards and insurance. The last five years have been spent at the John Lewis partnership, where I helped to launch and develop John Lewis insurance, including our personal insurance cover for homes, travel, pets, weddings, events, and of course, drivers. Q. How many car insurance groups are there ? A. In 2010 a new insurance group system went live, and there are now 50 different car insurance groups. Cars in the highest numbered groups tend to be the most expensive as they are seen as the riskiest cars to drive. Q. How is a car’s insurance group worked out ? A. Each car built in the UK is assigned an insurance group by the Group rating panel, using statistics from the Motor insurance repair research centre. Q. So which cars are in which groups ? A. Smaller, fuel efficient cars tend to be in the lowest car insurance groups such as cars in insurance group 1, the Nissan micra, Volkswagen up ! and the Ford ka. The bigger vehicles and sporty, desirable cars will normally be in the higher groups, the Range rover sport is in group 48 and the Porsche 911 is in group 50. Q. How can I check the insurance group of my car ? A. There are several websites you can use, including insurance group calculator which is an easy way of finding out your car’s insurance group. You can also ask the dealership or person you are buying the car from. Q. Have you got any expert tips for us ? A. Whichever car insurance group your vehicle falls into, the policy price will also be affected by the age and experience of the policy holder. If you’ve decided on a car but have realised it’s in a high insurance group, it’s worth doing your research, as similar cars may have very different insurance groups.